We don’t find them better than this mule. She is so smooth to ride you feel like a million bucks at the end of the day. Her temperment will handle anything. 14.3 to 15 hands, goes where ever you point her, to a show, to town with traffic or back country it really does not matter to her. She is not herd bound, yet get along with a group just fine. As we stated totally awesome saddle mule. Macy – 10 year old 14.3 brown GAITED molly mule that rides like a dream! Ruby Ann – 9 yr old Bay molly – quarter type. Rides the best. Chuckwagon for sale! I know its not a mule, but they did pull it!!! Bill – 15 yr old, dark brown john, quarter type that rides and packs. 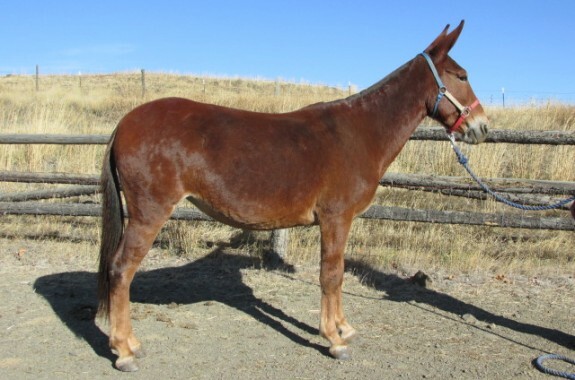 Tip – 12 yr old 14.3 hand roan molly, quarter type saddle mule for everything! 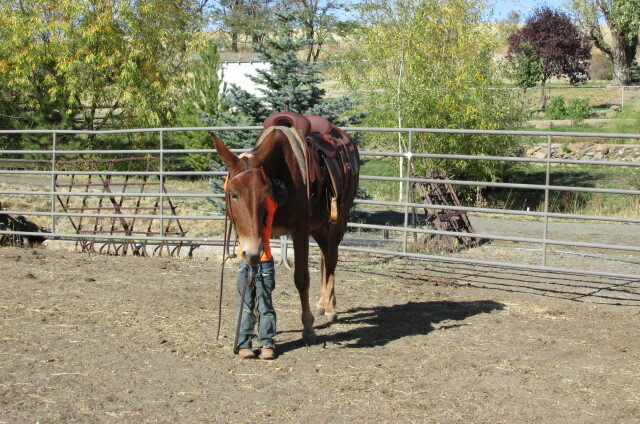 Bell – 8 yr. old – 14.2 hands, stocking legged molly that rides. Marvin & Marty – 4 /6 yr old, 14, 14.2 hand Rare, Norweigen Fijord mule, rides and drives. 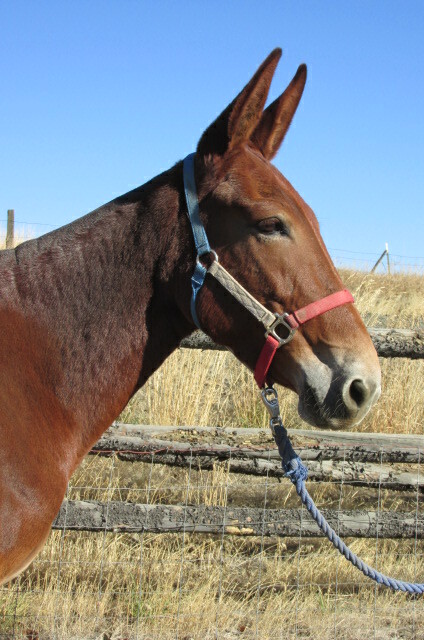 Sally – 5 year old sorrel, 15 hand, molly quarter type – rides and packs. 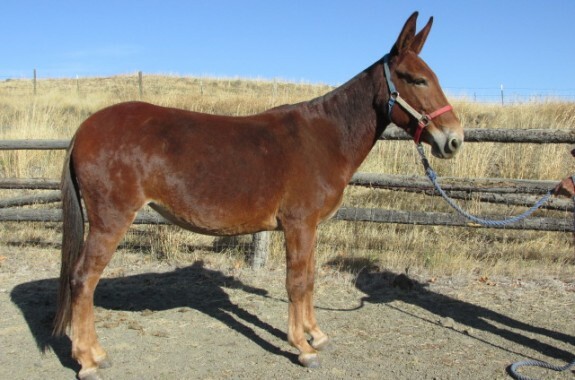 Ruth – 5 year old paint sorrel quarter type molly, 14.2 hands – Rides and Packs. Spring is in the Air and we are ready!